A deep, soft and incredibly comfortable range with a nod towards the casual classic. Features beautifully tailored scroll arms and wing details. 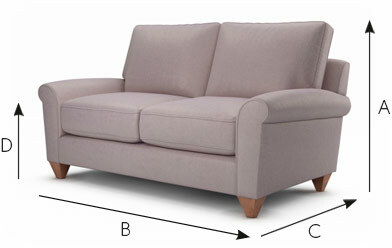 A well-designed family sofa. Chloe is fibre-filled, which means she's soft and inviting, but the cushions will need plumping regularly throughout the week to avoid flattening.